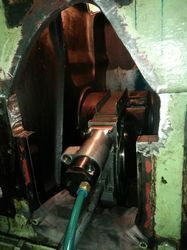 We offer Crank Shaft Services. Crankshaft repair by ra power solutions pvt ltd.
As sutran, we rae bale to provide true value for money, by giving specialized service of rebuilding for old aluminium, wooden spiked lattices. The rebuilt lattice provides work efficiency equivalent to new lattice. While rebuilding, only old spiked lags are taken out of old lattice & reused and rest of the components are replaced by new ones. The Most Complete Work Heavy truck. Our service range includes a wide range of Used Crankshaft Grinding.